In our modern society, it’s easy to take something like an air conditioner for granted. Reliable air conditioning is available nearly everywhere from banks and offices, to your home, and even inside of your car. But did you know just a century ago an air conditioning unit was virtually unheard of? It took thousands of years of technological advancement to create the first air conditioner and since then, the technology surrounding it has changed tremendously. Montogomery Heating & Aire, a heating and AC service in Gassville, AR, shares a brief history of air conditioning. For thousands of years, people relied on palms, paper fans, and shaded homes to stay cool. 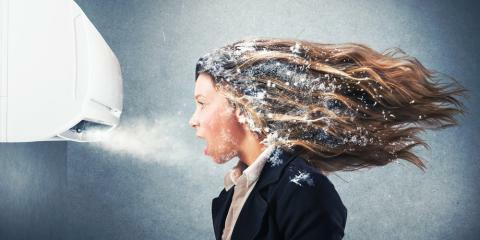 The first innovation in cooling technology came in 1831 when Dr. John Gorrie of Florida began the practice of blowing air over buckets of ice to help his patients cool off and heal quicker. Similar techniques continued throughout the 19th century as naval engineers spun fans over chilled strips of cloth to help cool off a sick President Garfield in the 1880s. The next innovation in air conditioning was inspired by an innovation in heating technology. In 1861, William Siemens discovered that coils could be super-heated and combined his super-heated coils with a fan to create the first electric furnace. In 1902, Willis Carrier applied this principle to cooled coils and created the first air conditioning unit. These units were large and used ammonia as a coolant, making them somewhat dangerous. Carrier’s invention was popular in industries such as printing where heat and humidity could damage the product. Over the next two decades, air conditioning units decreased in size but still measured seven ft by 20 ft, and were primarily used in areas, like movie theaters to increase year-round attendance. In 1922, Carrier replaced the ammonia in his HVAC units with dielene, making them safer. The increased safety allowed for HVAC units to be installed in government buildings and other areas, including train cars and office buildings. By the 1950s, HVAC units were made more compact and efficient enough to be added to every home. By the 1970s, central air had been developed and this innovation began to overtake sales of individual air conditioners. Today, most homes and businesses around the world rely on some form of HVAC or AC service to beat the heat and stay comfortable. If you’re in need of heating or AC service for your home or business, call (870) 435-1501 to get a free estimate from Montgomery Heating & Aire. For more information on the HVAC services provided by Montgomery Heating & Aire, visit the website today.